With only a month left until the final season, the end of Game of Thrones is just around the corner. We’ll finally get answers to questions that have plagued us for years on end, like is Bran the Night King? Who is Azor Ahai? Will the White Walkers be defeated? And perhaps most importantly, who will end up on the Iron Throne — if anyone at all? While we still can’t see the soundstage sets from Titanic Studios in Belfast or Castle Black, you can see plenty of filming locations throughout Northern Ireland in a single day trip. Most tours operate out of Belfast and will usually play scenes where the location you’re traveling to appears, give some history, and sometimes even provide costumes for dressing up. While some may consider these cheesy, they’re all in good fun, and you’ll have a memorable experience with a lot of laughs. But they can be expensive, and your schedule will be dictated by the guide. Thankfully, it’s easy to drive to these locations yourself for free (assuming you’re cool with driving on the other side of the road). 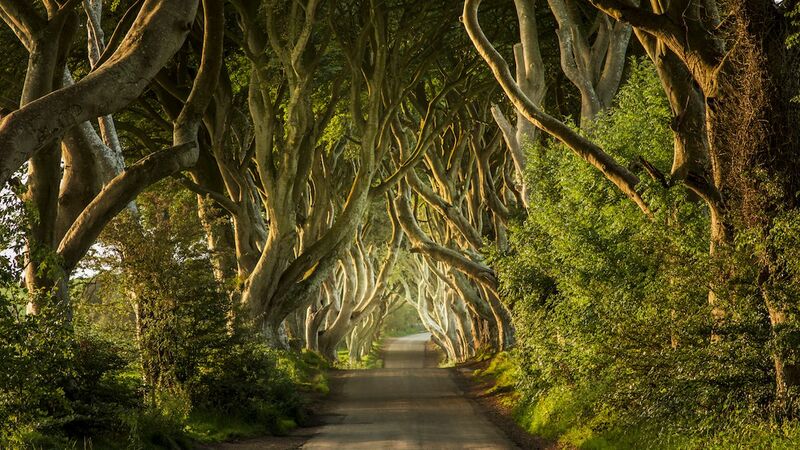 Here’s everything you can see on a one-day Thrones-themed road trip — including some non-GoT sites you shouldn’t pass up seeing along the way. Warning: Spoilers ahead, but if you’re not caught up by now, that’s kind of on you. Cushendun Caves and the surrounding area were important early on in the show, being used for the Stormlands that served as House Baratheon’s stomping grounds. The shape of the caves is due to hundreds of millions of years’ worth of extreme weather, especially being right on the water. The caves themselves were only used once, but the effects of the scene that took place there can still be felt in later seasons. After a futile parley in which Stannis failed to get his brother Renly to accept him as the true king, he ordered Davos to take Melisandre to a cave near Renly’s camp, where she then gave birth to a shadow creature that killed Renly. The beach is pretty scenic to walk around, shadow babies or not. 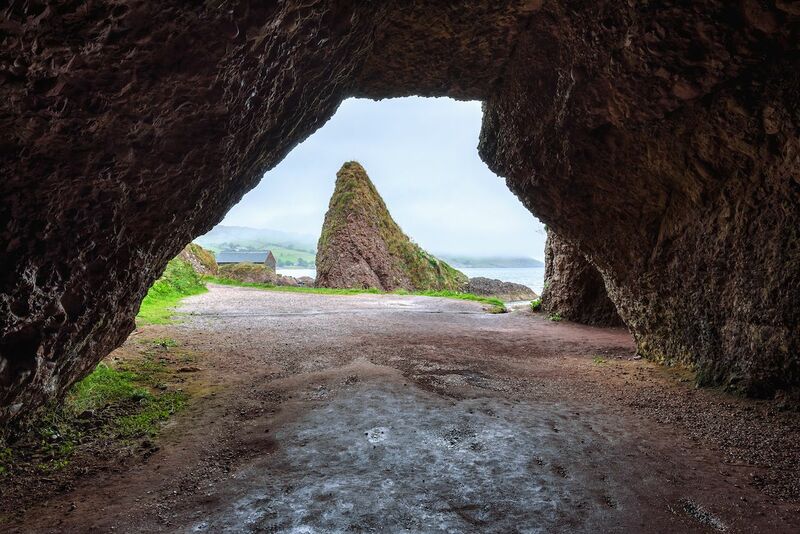 From Cushendun Caves, it only takes around half an hour by car to get to one of the most iconic sights for both Game of Thrones and Northern Ireland. The Dark Hedges are an avenue of beech trees that were initially created to amaze visitors on their way to the Gracehill House, a Georgian mansion. In GoT, they’re used as the Kingsroad, the equivalent of a highway in Westeros, running from Castle Black in the North down to King’s Landing in the South. In particular, it’s used in the show when Arya, disguised as a boy, has escaped from King’s Landing in the second season and is traveling with a group of men bound for the Night’s Watch, among other scenes. 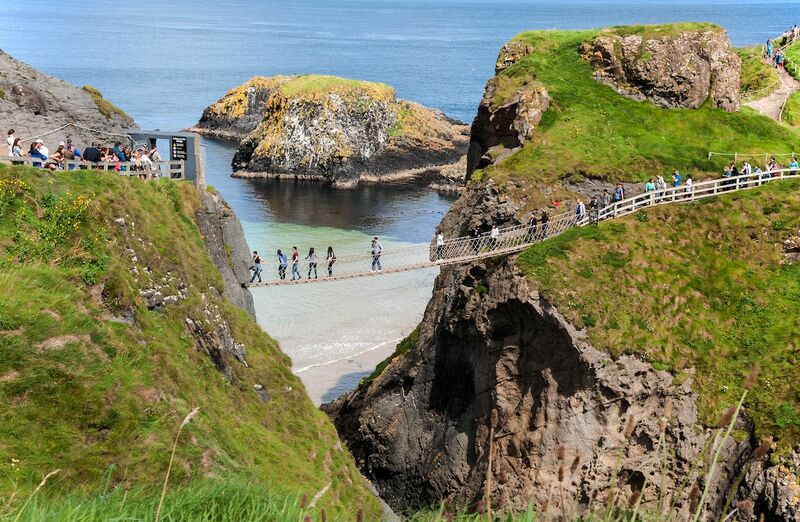 While not directly a GoT location, the Carrick-a-Rede rope bridge inspired the bridge Balon Greyjoy was pushed over by Euron Greyjoy — and looks just like it. Head up to the coast from the Dark Hedges and you’ll arrive at your destination in around 20 minutes. The bridge was built in 1755 by fishermen who thought Carrick-a-Rede was a perfect fishing spot, however, fishing there is not as common in recent years. It’s 30 meters (98 feet) above the ocean and 20 meters (67 feet) long, and it also undergoes frequent restoration of sorts to make sure it’s safe for crossing. The bridge does sway a fair bit, though, so it’s not for the easily frightened — but if you’re Ironborn, you should have no problem. Crossing it costs £9 for adults and £4.50 for children, and it’s worth every penny; the views of Rathlin Island and Scotland in the distance are spectacular. 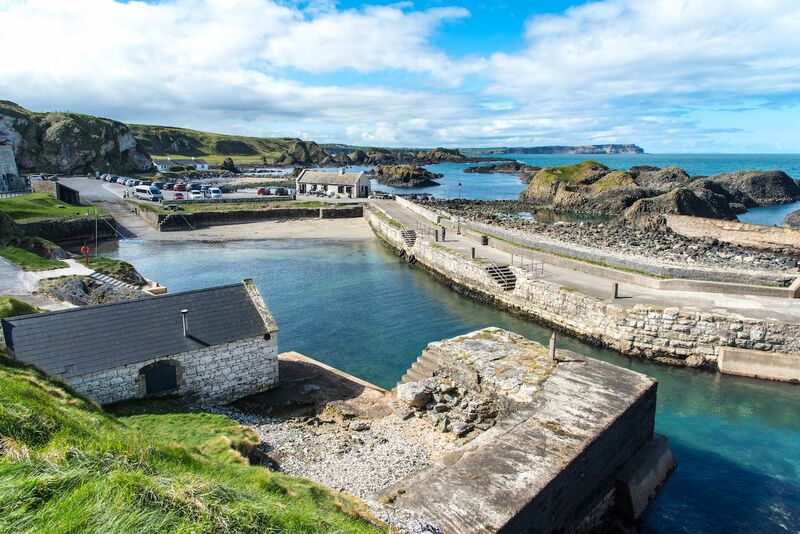 Speaking of the Ironborn, just under 10 minutes away from Carrick-a-Rede is Ballintoy Harbor, which was used for several scenes in the Iron Islands, home to the Greyjoys. The harbor itself was used as a port in Pyke where Theon gets a boat to sail back home. Just a few feet away is the beach, which was used for Theon’s baptism into the religion of the Drowned God and then the Kingsmoot in season six, where Euron and Yara vied for the Salt Throne. Drive along the Causeway Coastal Route for 20 minutes and you’ll reach the scenic drive’s namesake. 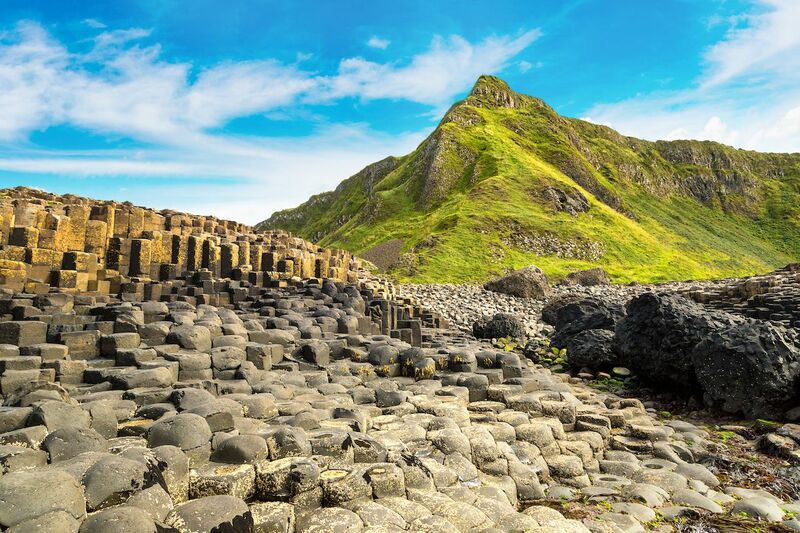 Giant’s Causeway isn’t a filming location, but it’s included on almost every GoT tour because to skip seeing this world wonder would be very, very foolish. This UNESCO World Heritage site is a series of over 40,000 natural hexagonal pillars, with a history that goes back nearly 60 million years. Its fantastical design has inspired some origin tales; the most popular theory to date is that Fionn mac Cumhaill, an Irish giant, got into a fight with a Scottish giant named Benandonner. The two were known to hate each other and frequently insulted one another. One day Fionn got so fed up that he built a path to Scotland, and Benandonner destroyed most of it — what remains is the Giant’s Causeway. It probably would have made for an epic Dragonstone set if it weren’t so recognizable. Prices are £12.50 for adults, £6.75 for children, and free for those under age five. 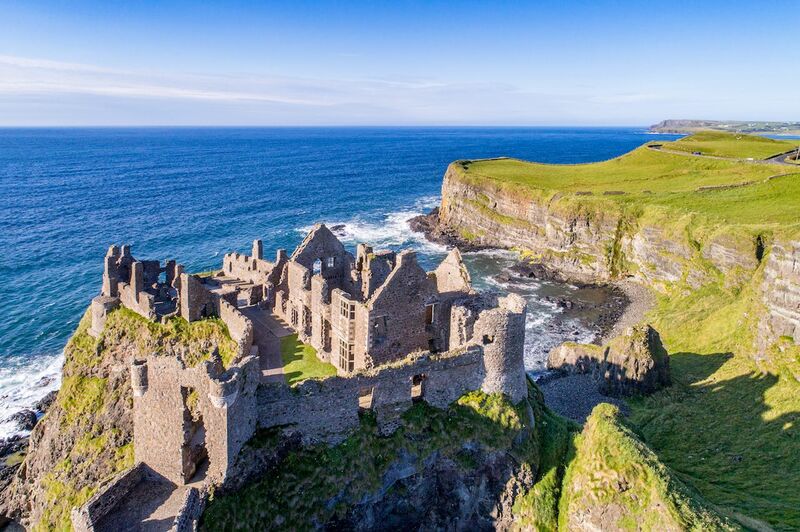 Following along the Causeway Coastal route lends to gorgeous scenery and a number of other Game of Thrones sites. Dunluce Castle is another such example, serving as Castle Greyjoy. The castle was built in the early 1500s by the MacQuillan family, seized by the MacDonald clan in 1550, and home to earls in the 1600s. Legend has it that during a stormy night in 1639, part of the kitchen fell into the sea, and only a kitchen boy survived. Some visitors even claim they see ghosts, particularly that of the Banshee of Dunluce Castle, who’s believed to be the daughter of Lord MacQuillan. It’s a quick stop, but at 10 minutes away from Giant’s Causeway, it doesn’t hurt to stop by. It’s £5 for adults, £3 for children and seniors, and free for kids under five. If time allows, there are a few other locations you should visit on your trip. 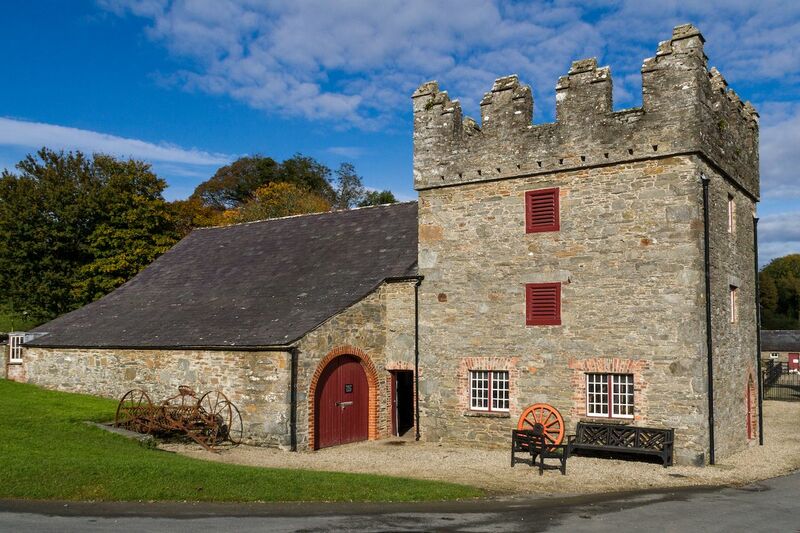 Two hours south in the opposite direction, past Belfast, you’ll find Castle Ward. HBO used this 18th-century estate as the location for Winterfell scenes for the pilot episode. It’s important to note that the estate doesn’t look much like the current Winterfell since CGI was used to generate most of the buildings, but you will notice a resemblance. One of the taller buildings in particular, with a single window at the top and a red wooden door, that’s easily identifiable in the pilot. Other than that, Castle Ward offers a number of activities to get you in the GoT spirit. In the pilot, Jon, Robb, and Bran are using an archery range, and Castle Ward has replicated the range in the exact same spot, allowing visitors to try their hand at archery. As an added bonus, you can even dress up in similar clothing. Entry is £8.18 for adults and £4.09 for children. As the fortification manned by House Frey, the Twins aren’t necessarily anyone’s favorite place in Westeros. Their design was based on Audley Castle, under 10 minutes from Castle Ward. Since there’s only one building at Audley, HBO digitally recreated another one to be the second tower. The field surrounding the castle was used for when Robert Baratheon and his escorts arrive at Winterfell in the first season, as well as for Robb’s camp in the second season, where he met Talisa and where Jaime was imprisoned. 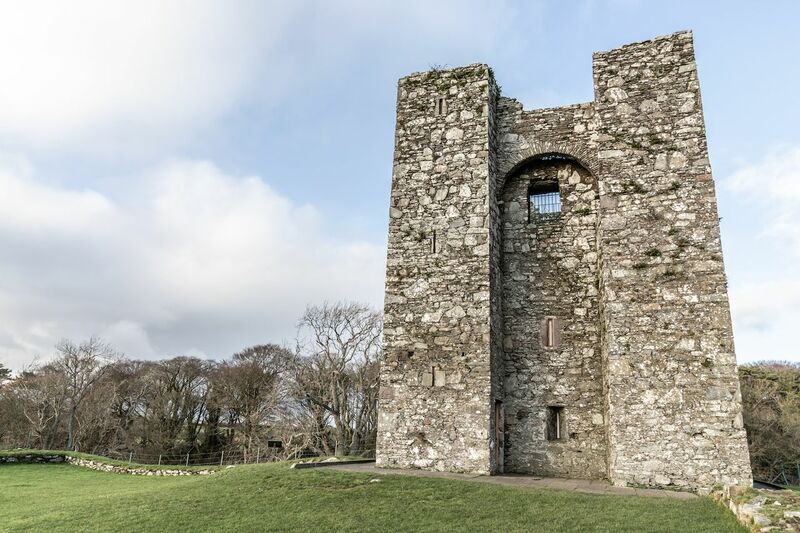 This location is actually on the way to Castle Ward from Belfast, but we recommend doing it toward the end of your day when you’re on your way back because it’s open 24/7. 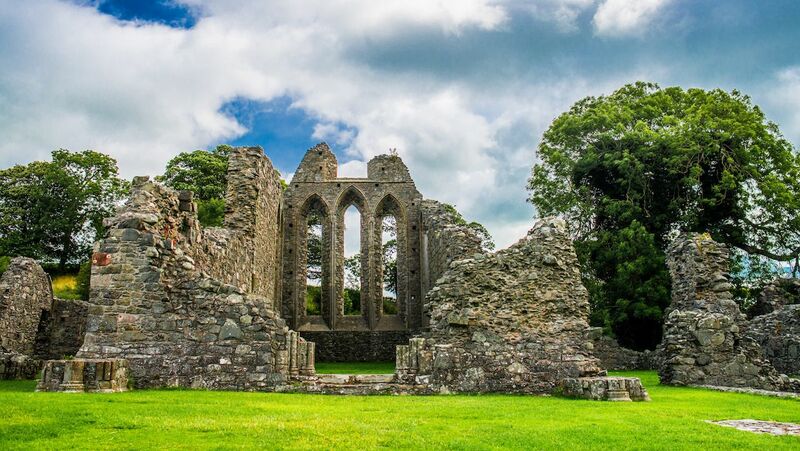 Inch Abbey was founded by John de Courcy as penance for destroying Erenagh Abbey, and the buildings date back to the 12th and 13th centuries. It was used for Robb’s camp in the Riverlands, and show fans should recognize the ruins of the abbey as the place where Robb was named King in the North.